1. What are the pre requisites to install Exchange Server 2007 ? 2. What’s the order to install Exchange Server 2007 Roles in a exchange Server 2003 organization ? 3. What are the versions available in Exchange Server 2007 ? 4. What are the Operating system requirements to install Exchange Server 2007 ? 5. 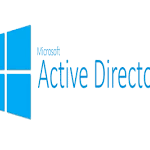 What are the Active directory requirements to install Exchange Server 2007 ? 6. What are the hardware requirements to install Exchange Server 2007 ? 7. What are the Software requirements to install Exchange Server 2007 ? 8. What is Transition in Exchange Server 2007 ? 9. 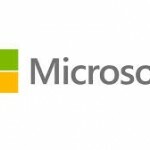 What is Migration in Exchange Server 2007 ? 10. Is it possible to do in place upgrade from Exchange Server 2003 to Exchange Server 2007 ? 11. What are the transition options available in Exchange Server 2007 ? 12. What are the considerations for Exchange Server 2007 to co exists with Exchange server 2000 and Exchange Server 2003 ? 13. Will Front End server talk to Exchange Server 2007 Mailbox server in an Exchange organization having both exchange 2003 and exchange Server 2007 ? 14. What is the status of routing group connector in co existed of Exchange Server 2003 and 2007 ? 15. Which service should not be installed in Exchange Server 2007 installation ? 16. 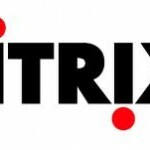 What are the Exchange Server editions available ? 17. What is the difference between standard and Enterprise Edition ? 18. What to do if exchange Server 5.5 in your organization in order to upgrade to Exchange Server 2007 ? 19. What are the Planning considerations for Client Access Server Role ? 20. What are the Planning Considerations of Hub Transport Server Role ? 21. What are the Planning Considerations of Mailbox Server Role ? 22. What are the Planning Considerations for Edge Transport Server Role ?